By 2014, The Family of Woman Film Festival had presented 30 films and welcomed 15 filmmakers, all of whom had gone on to achieve further remarkable accomplishments in their careers. We decided to take a look both backward and forward, by establishing a Filmmaker Retrospective to honor a distinguished alumni each year and learn of their present work. Redfearn returned to the Festival via satellite from Havana Cuba to present “Sun Come Up,” shown at the Festival in 2008 and nominated for an Academy Award that year for Best Short Documentary. Redfearn also joined the Festival via satellite to present her latest film, “Tocando la Luz,” as part of the main Festival program. Sedika Mojadidi presented her documentary, “Motherland Afghanistan”, which was shown at the first Family of Woman Film Festival in 2008. 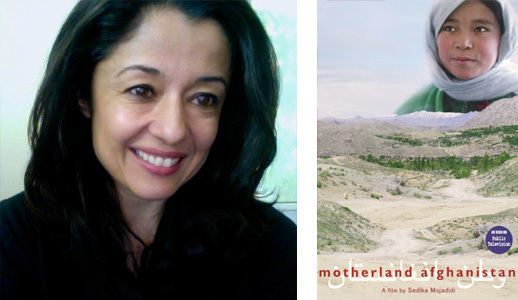 In 2006, Afghan-American filmmaker Sedika Mojadidi accompanied her Obstetrician/Gynecologist father back to their homeland for the first time since their family had fled when she was a child. Her father was appalled to find that women had little access to adequate health care and Mojadidi filmed his battle against one of the highest maternal mortality rates in the world. Mojadidi also presented clips from a film she had just completed in Afghanistan about the status of women today. 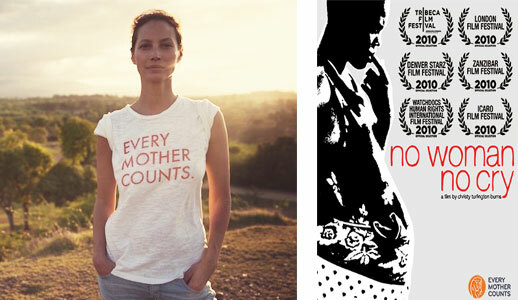 Christy Turlington Burn’s film, “No Woman, No Cry” was shown in 2011 as a special Festival event. The film explores explores the experience of pregnancy in Kenya, Bangladesh, Guatemala and the United States. It premiered at the 2010 Tribeca Film Festival and has been broadcast around the world in over 120 countries. Turlington Burns also delivered the Bonni Curran Memorial Lecture on the Health and Dignity of Women in her role as founder of Every Mother Counts. 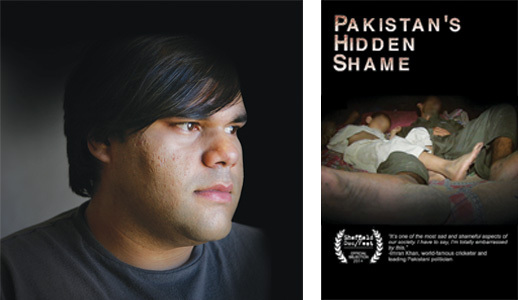 Mohammed Naqvi, a presenter at the first Family of Woman Film Festival in 2008, returned to rescreen his ground-breaking documentary from Pakistan, “Shame.” Naqvi also closed the festival with his latest documentary, “Pakistan’s Hidden Shame”. 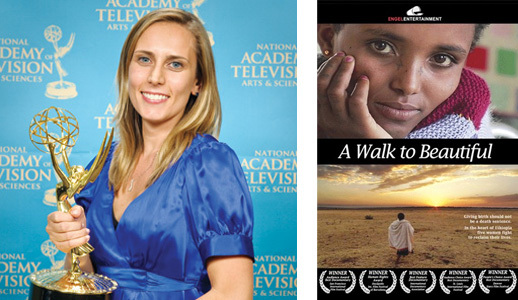 Allison Shigo returned to present “A Walk to Beautiful,” which she first presented in 2009, and which went on to win an Emmy Award for Best Documentary. She also spoke of the non-profit she founded in northern Ethiopia, Healing Hands of Joy, which has won recognition from UNFPA.